First held at RSTP in May 2017, the event connect start-ups with seasoned entrepreneurs and industry experts thereby expose start-ups to resources they cannot access by themselves. This shortens the learning curve and fosters the application of good business management practices. 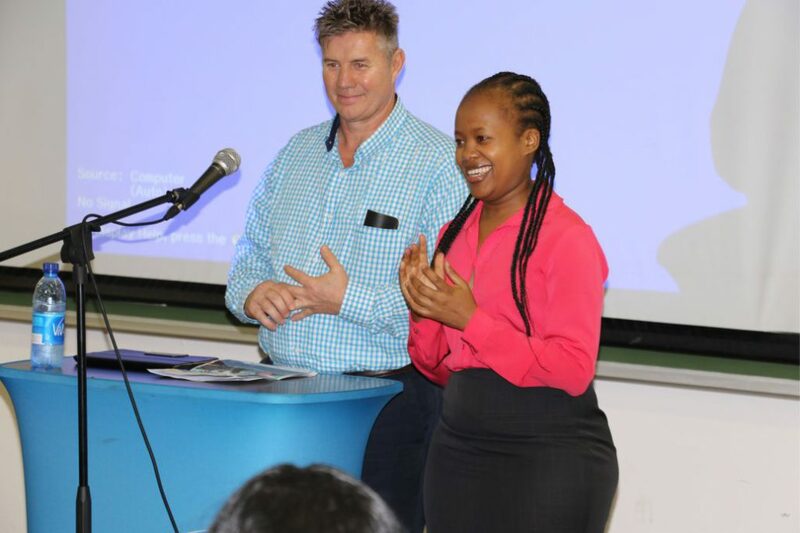 The Director of Mormond Electrical (Pty) Ltd Mr. John Thomson was invited to share his personal journey in starting an enterprise and running a family business. His presentation was titled “Growing a Business and Guiding it Through Tough times”. A section of his presentation covered three things, namely discipline, strategy and management of finances that helped him succeed. He told participants that he trained himself to start work very early in the morning, leave the office in the evening and work during weekends. His ability to develop a strategy and execute it kept him focused and enabled him to continously ask himself what was required to achieve the objectives of the business. As regards money, he said success is dependent on an ability to take care of finances and to plough back any profits into the business so that it can grow. According to Mr Thomson, an entrepreneur who fails should receive encouragement rather than ridicule because the experience teaches an entrepreneur to work twice as hard and twice as efficient when s/he tries again.